Teen Mom in some ways is exactly as you'd expect: they are light-hearted indiepop with likenings to Camera Obscura and Belle & Sebastian with airy vocals that fall delicately over a terse, sparse garagey backbeat. 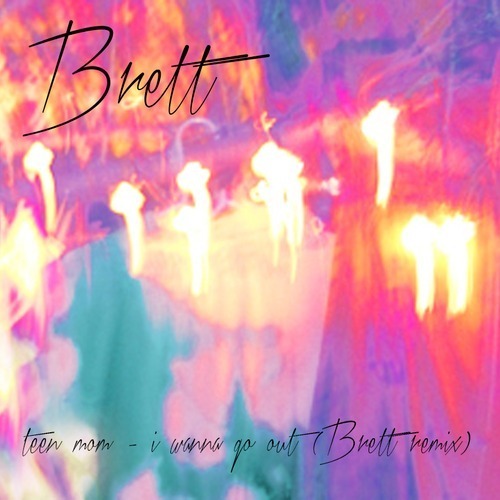 When their song “I Wanna Go Out” was remixed by D.C. city-mate Brett, the opportunity to expand and grow a lo-fi masterpiece was large, and the track exceeds that expectation. With heavy-hit floor toms and whispery and crisp dance tones, the track becomes something else entirely: it takes elements of Toto's “Africa” and mixes in a dose of Blood Orange's pop savvy, making for a reimagined edition of the Teen Mom track in every way. Take a listen below and pick up the Teen Mom EP at Analog Edition Records here and the Brett LP through Prince George Records here.